Kim Antieau: The Old Mermaids School of Everything: Enrollment Open! The Old Mermaids School of Everything: Enrollment Open! Magic, mystery, and mermaids: Just what we need to navigate these turbulent times. Toss in beauty and inspiration, and we have The Old Mermaids School of Everything beginning February 1, 2019. When the Old Sea dried up and the Old Mermaids found themselves in the New Desert, they had to quickly figure out how to live in a new world. They exchanged their finware for skinware and learned a few things along the way. Now they bring their wisdom and knowledge to you in The Old Mermaids School of Everything, a year-long, four-course exploration of creativity, folkways, healing, dreams, and magic with 13 teachings from each school. The teachings of the Old Mermaids help us imagine and build a new world. The Old Mermaids School of Magic and Ceremony: The Old Mermaids bring tried-and-true Old World magic from the Old Sea and New Magic and ceremonies they’ve learned since coming to the New Desert. (The Witch of Coyote Hill was a huge help.) You’ll have a chance to test these enchantments, songs, whisperings, and chanties and create new enchantments of your own. The Old Mermaids School of Telling Tales and Making Art: Who knows more about telling stories and making art than the Old Ems? Each of their lives is a work of art and a story to tell. That is true for you, too. The Old Mermaids and I will make suggestions for writing and/or art making. And I will comment on and mentor you in the creative process, if you desire. The Old Mermaids School of Dreaming with the Ancestors: Dreams for the Old Mermaids meant many things, just as they do for us. The Old Ems have a unique way of interpreting their dreams. We will explore their way as well as other practices for dream remembering and understanding. It’s all about connecting to our divine and wise selves day and night. 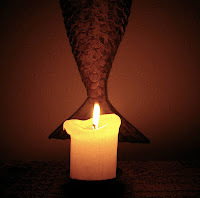 The Old Mermaids School of Faery Doctoring and Other Folkways: In some quarters, mermaids are considered to be part of the faery realms. In other places, they are powerful deities, most often goddesses or spirits of the water. We will explore the ancient and modern folk healing of faery doctoring, along with braucherei, and other effective methods of healing and living that women often employed before men took over the healing arts. The Old Mermaids were practically immortal in the Old Sea, but once they came to the New Desert, they had to learn how to survive. You will learn what they learned. BONUS: In addition to these four schools, Kim will also document and share with you how mermaids figure into mythologies and folklore all around the planet. BONUS: In addition, Kim has expanded The Salmon Mysteries celebration to 9 weeks this year, and all enrollees will be welcome to participate in this online celebration of the ancient Eleusinian Mysteries made modern. While The Old Mermaids Mystery School is self-directed with Kim as a guide on the side, The Old Mermaids School of Everything novices will have a chance to interact more directly with Kim and other enrollees. We will share dreams, writing, art, and magic with one another. (Don’t worry: Kim will have guidelines for all of this. If you don’t want to be part of the FB group, Kim will keep in touch with you via email. How this will work: Every month, Kim will send you four teachings, one from each of the four schools. (In all you will receive 52!) They will be filled with stories, assignments or practices, teachings, art from around the world depicting mermaids, and photographs. You get to decide how much or how little you do. No one will be grading you or keeping track—unless you decide to keep track yourself. The courses are not technically progressive like TOMMS, so you don’t have to worry about getting behind. You will (or won't) share with the group what you're doing and communicate with Kim if you want feedback from her. 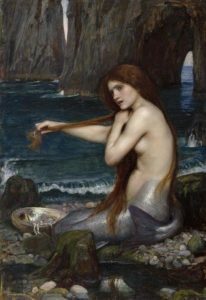 Every Old Mermaid Monday, Kim will also send you inspirational quotes from the Old Mermaids, along with inspiring art. Newcomers: If you sign up for the SECOND The Old Mermaids Mystery School AND The Old Mermaids School of Everything, you will receive all the bonuses above AND a 20% discount from both tuitions. TOMMS is regularly $169 - 20% = $135; The Old Mermaids School of Everything is normally $199 - 20% = $160. You can get both TOMMS and The Old Mermaids School of Everything for $295! (More about TOMMS here.) Both schools begin February 1st. Mystery School Novices: If you are already novices in The Old Mermaids Mystery School, you get 20% off The Old Mermaids School of Everything tuition if you pay in full before January 31. YFor only $160 for Old Mermaid novices. What is The Old Mermaids School of Everything? Do you need to read Church of the Old Mermaids to be a part of TOMSOE? I have been a storyteller since before I could read or write. I tell stories through fiction, nonfiction, photography, and other art forms. I've studied myths and fairy tales since I was a girl. For the past 30 years, I have studied a variety of folk healing methods and magical systems, and I've trained with Vicki Noble, Tom Cowan, Robert Moss, and Grandmother Maria Alice Campos Freire, among others. I'm particularly fond of my training and experience in the Celtic Visionary Arts, braucherei, dreaming, and women's ecstatic ceremonies and rituals. I am a published writer and photographer who finds mythic meaning everywhere. More questions about me or the program? Write to me, Kim Antieau, at tomms@oldmermaids.com. DO NOT FORGET TO INCLUDE A GOOD WORKING EMAIL and mailing address; THE PAYPAL EMAIL IS OFTEN AN OLD ONE. Newcomers enrolling in The Old Mermaids School of Everything: Pay in full by January 31,10% discount: $180. 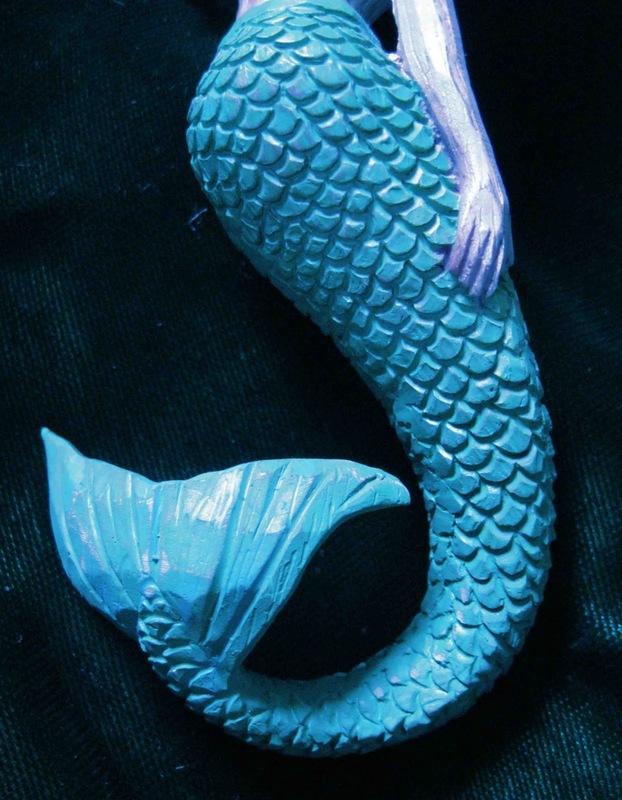 Old Mermaid Novices: Pay in full 20% discount: $160. Newcomers enrolling in both TOMMS and TOMSOE: Pay in full 20% discount: $295. 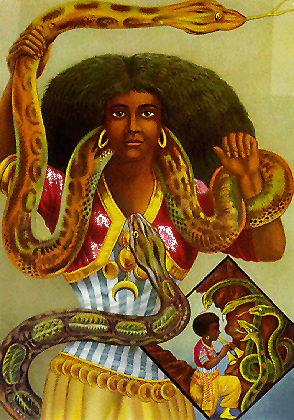 Artwork: Mami Wati, poster from 1880.